Just recently news.Bitcoin.com reported on the unique Electron Cash wallet alongside using the Cashshuffle plugin. Two weeks ago we were granted access to the Electron Cash iOS beta testing period, and we wanted to give our readers a sneak peek at what to expect when this bitcoin cash-centric light client launches. The Electron Cash wallet is a reputable bitcoin cash (BCH) wallet that’s been around for quite some time. At the moment the client is available for Mac, Linux, Windows, and Android for mobile phones. However, the wallet’s development team and lead developer Jonald Fyookball are in the midst of building the Electron Cash application for iOS users. Fyookball has allowed news.Bitcoin.com access to the beta testing using Apple’s Testflight system so we could experiment with the wallet, and share our experience with our readers. 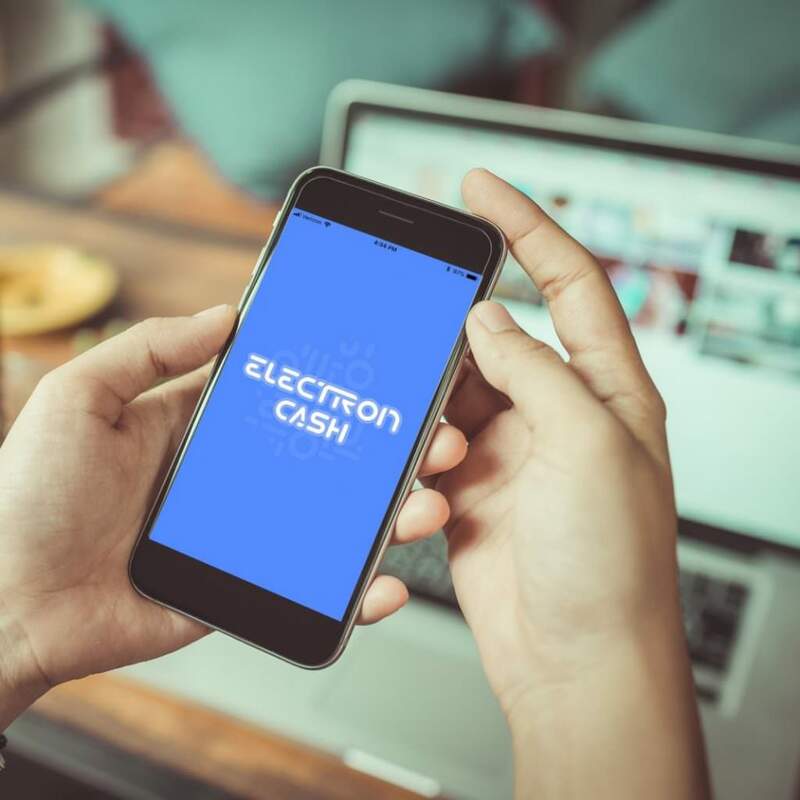 When opening the wallet users are greeted by a neon-blue like screen that says Electron Cash, from here the user can choose a few options when they launch the app for the first time. The choices given are the usual create new wallet, import an existing seed, or use existing public or private keys. We created a new wallet and the Electron Cash iOS interface gave us a new twelve-word mnemonic phrase to write down. After finishing writing the seed down, the wallet asks you to re-type all twelve words, but it doesn’t take too long because words are predicted and easily-tappable after a few letters are typed. You also encrypt the wallet with a password, and are given the option to name it as well. Remember your password and mnemonic phrase give you access to your funds, and keeping them a secret is a top priority. The Electron Cash iOS app always asks you for your password whenever you open it or if you want to sign an outgoing transaction. In the wallet interface there are five main settings which include wallets, addresses, coins, contacts, and the settings section. The wallet section is basically the main page you are greeted with after entering your password. It shows the name of the wallet(s) and you can toggle to different wallets in the first field on the top of the page. The page will also show you all the transactions that have occurred for that specific wallet. On the very top, there is a blue banner with a green light indicating the client is synced up and online. If it was red this would indicate the wallet is not online and synced to the BCH network. Moving on to the addresses page it will show a bunch of addresses both used and unused. You can toggle between funded addresses and unfunded addresses, alongside if they are receiving or change addresses as well. The Electron Cash wallet allows users to create contacts by utilizing an individual or organizations’ address so you can easily send funds to any recurring contact. The coins area shows BCH transactions that have been sent or received but are not yet confirmed. The wallet’s settings section is where you can make a bunch of changes to the wallet, like change your password, and view your mnemonic phrase if you needed to see it again. In the settings, the Electron Cash iOS client has an address converter so a person can change a legacy address into the Cashaddr format. This section also offers a variety of features like the ability to change the fee to max static or the user can choose a custom fee. Below that where it says transactions, you can choose to utilize change addresses, multiple change addresses, and whether or not the wallet will spend only confirmed coins. Following this section, you can change the appearance, choose what block explorer you want to use. From here users can also set the fiat settings so you can view the value of coins in USD, EUR, and many other monetary units. The wallet works very well for being in its beta (3.2.0) testing phase and Electron Cash users will be sure to enjoy this wallet. There were a few occasions where it was difficult to remove the keyboard and view the lower fields on the screen in the earlier versions we tried prior to the 3.2.0 upgrade released just the other day. Since then we’ve found the app works like a charm, and haven’t found any difficulties using it. The Electron Cash developers have also been looking for testers on the subreddit /r/BTC over the past few weeks in order to get feedback. What do you think about the Electron Cash wallet for iOS? Let us know your thoughts on this subject in the comment section below.